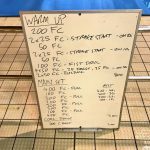 Last weeks pair of triathlon swim plans with work on finishing the stroke, threshold pacing and some speed. 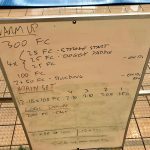 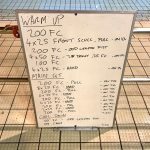 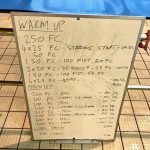 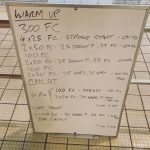 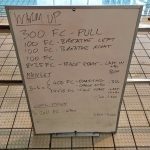 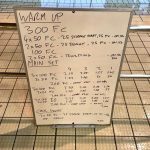 Last week’s pair of triathlon swim sessions – pool based open water practice and a long pull set. 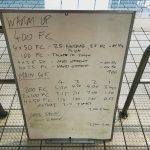 Last week’s triathlon swim plans, more catch work, some heavy endurance work and a tiny amount of sprinting. 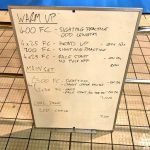 Last week’s triathlon swim plans with open water practice ready for the start of the season. 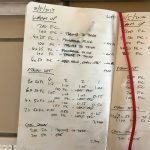 This week’s pair of triathlon swim plans – more work on the catch and a lot of shorter efforts.